With more and more people using the internet to look for products and services in your market it is becoming vital that a business shows up high in the first place in the search engines for a given keyword or phrase. In fact, entire lead generation systems of some businesses are built on ranking their website and obtaining traffic in the search engines. All major search engines are targeted for ranking improvements in an SEO campaign, however the most emphasis is placed on Google as they have over 90% of market share in Australia for search. Record Business Growth Consulting has a unique way of optimising websites for clients. We have a track record of competing and beating other internet marketers internationally in strong markets like golf, video marketing and computer software. 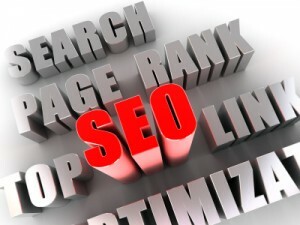 Why should my business do SEO? In fact if your business is not in Top 3 for a given search term, you are missing out on the lion’s share of the traffic. 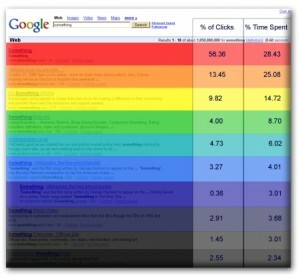 The image shows that over 50% of searchers click on the Number 1 spot. That figure drops to around 1% by the time you reach position 9. As an example. Let’s say a search term gets a 100 searches per day. Site 1 gets 58 visitors per day, Site 9 gets 2 visitors per day. If the conversion rate is 1%. Then Site 1 gets a sale every 2 days whilst Site 9 has to wait 50 days for each sale. If this pattern is followed across multiple keywords you can see why so many businesses are struggling to market their business on the internet. If you are looking for somebody to take your website to the top of Google and begin attracting the customers that you deserve we’d be glad to help. Nick Bielawski is a Melbourne based seo and internet marketing consultant who specialises in helping small to medium businesses get real results from their online marketing. Nick has lived in Melbourne his entire life and knows the city and its businesses closely. Let me hold your hand through the online marketing of your business, contact Nick on 0410 066 868 or via the contact page.